This is my first risotto and the reason why I haven’t made it before is because my husband, who is crazy about rice, is not a fan of sticky rice. The good news is he loved it! yay!! Two tips are extremely important when doing this recipe -keep stirring, this helps the starch ooze out of the rice and gives risotto its creamy texture – cook it until is al dente as that gives a bit of a texture to the risotto. Boil the water and add in the vegetable stock. Saute the shallots in a little oil. Add the mushroom and cook until it looses all its water. Add in the rice and cook it for about 10 minutes. Pour in the cider and stir continuously until absorbed. Pour a ladleful of hot stock, cook over a medium heat and keep stirring until all the stock is absorbed. Turn the fire off and add the cheese and parsley. 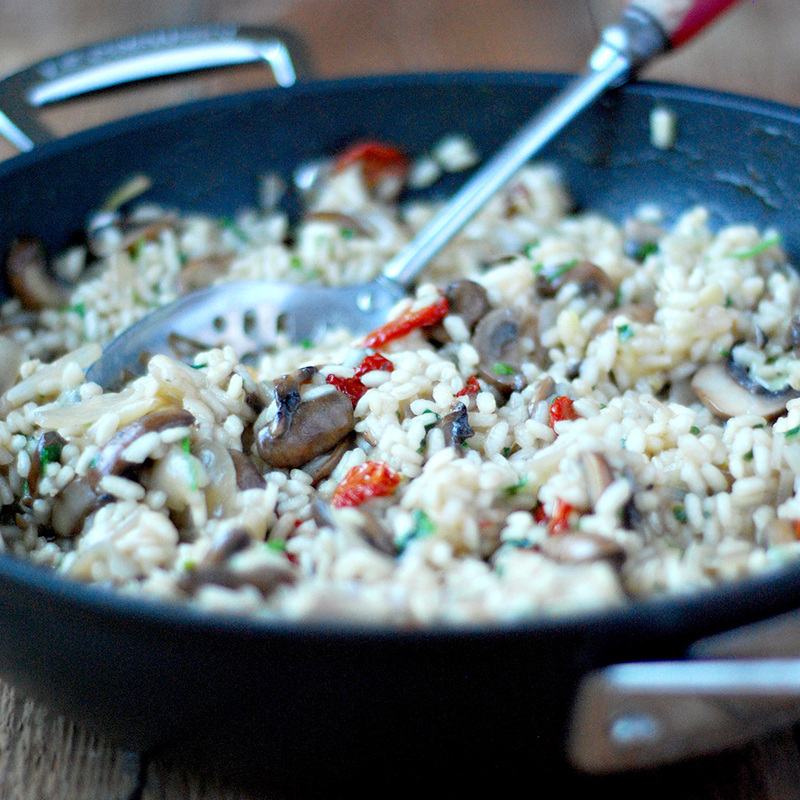 Leave the risotto to sit for a few minutes so that all the flavours and liquid absorb and settle.